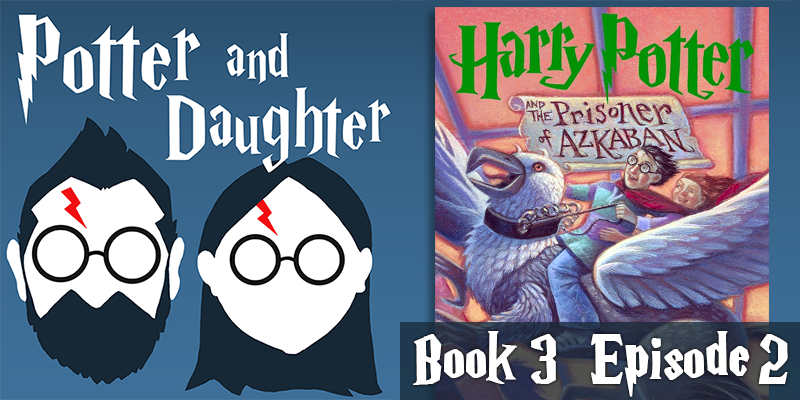 In the ninth episode of Potter And Daughter, Joel and Lily tackle chapters 8-14 of Harry Potter And The Prisoner of Azkaban and discuss Harry’s very brave and very stupid visits to Hogsmeade Village, new revelations about Sirius Black and his connection to the Potters, Oliver Wood’s Quidditch legacy, and Hermione’s increasing school schedule stresses. What happened to book 3 episode 1? Sorry, a couple of episodes were miscategorized as HijiNKS ENSUE podcasts. It’s fixed now. Thanks!